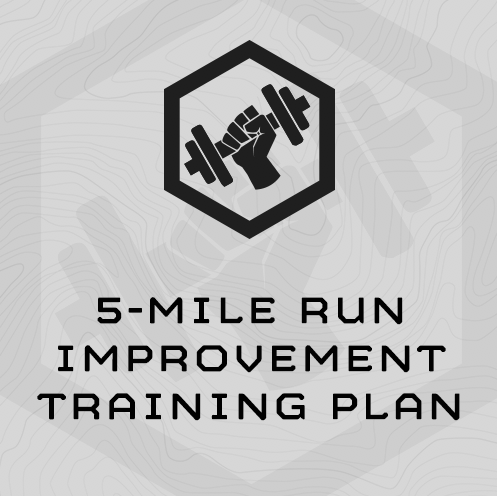 This training program is assessment based – and the hard, short running intervals (speed over ground) and distance run (aerobic base) paces prescribed throughout the plan are based on your most recent 5-mile assessment. You’ll run 5 miles for time four times throughout this plan – the first day of Weeks 1, 3, 5 and 6. These assessment times will be used to prescribe paces for the following interval and distance runs. You’ll run hard 2-mile intervals designed to increase your speed over ground. Long easy distance runs from 6-8 mile will develop your aerobic base. The paces for your fast interval work and easy distance work will be based on your most recent 5-Mile assessment and the MTI Running Calculator. (1) Run 6 miles @ “Easy Per Mile Pace” using your SESSION 1's 5-Mile Running Assessment and the MTI Running Interval Calculator.